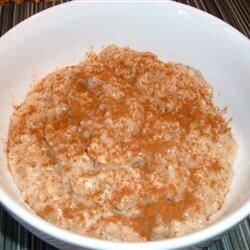 Mix the oats and water and microwave on medium power for 5 minutes. Stir in the honey, wheat germ, and flax oil. Top with the soy milk.